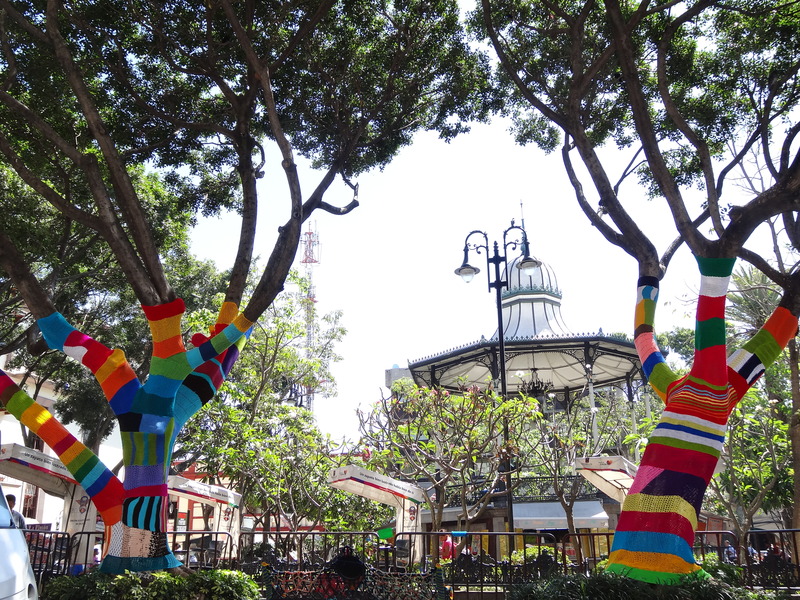 This collective art exhibition, which I organized together with Sweden-based artist Ann-Christine Borja, and 30 more local volunteers, was displayed during one week, main square (zócalo), downtown Cuernavaca in March 2014. 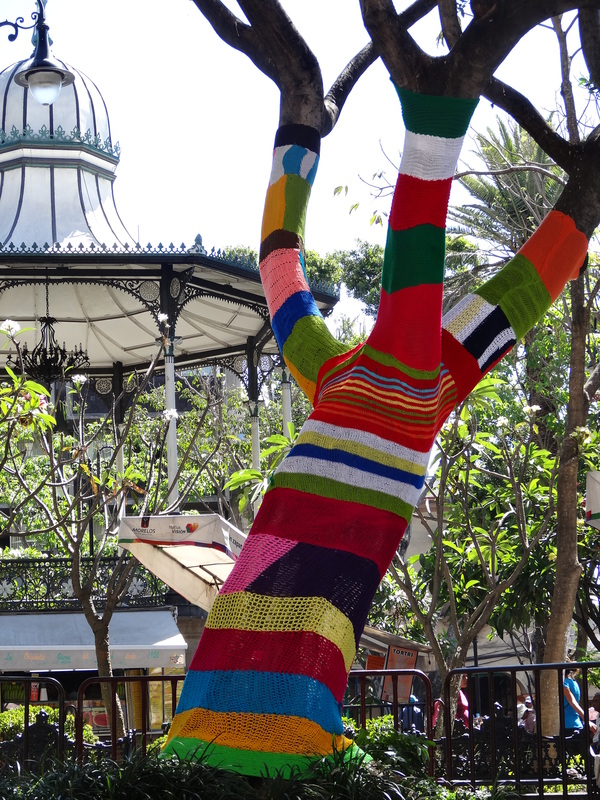 We covered two trees and one bench with multicolor yarn. About 8 kg (17 pounds) of yarn were used. 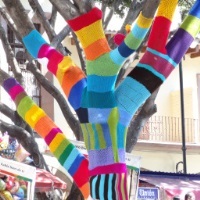 Its purpose was to foster creativity among local people and to get them involved into an artistic project to beautify the main square for a cultural week organized by a local NGO called Morelos Único. 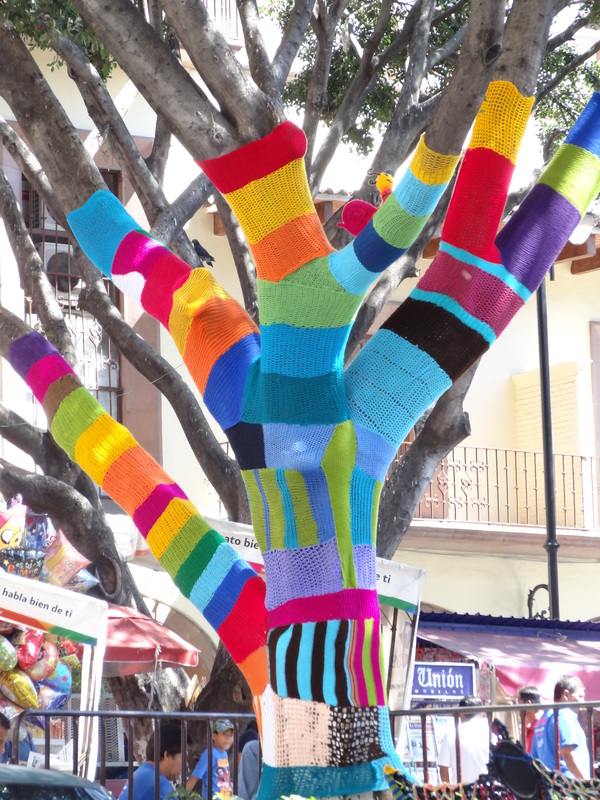 Read more about the project on Historias de Estambres – un pedacito por Morelos.